Here, the respective label can be defined in all of the current portal languages. 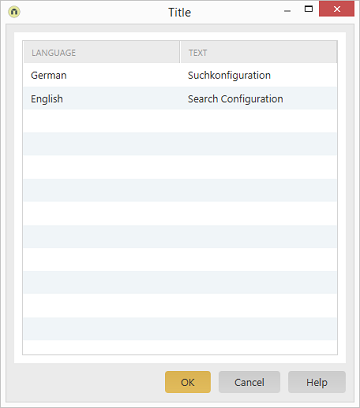 When the language is changed in the browser, the text specified for the selected language will be used as it is defined here. You'll see a list of the current portal languages here. Double-click to edit the specified text for each language.